It’s time to play with clay! I hadn’t touched clay since maybe high school and so I had very low expectations for what I’d end up making at the evening’s festivities. 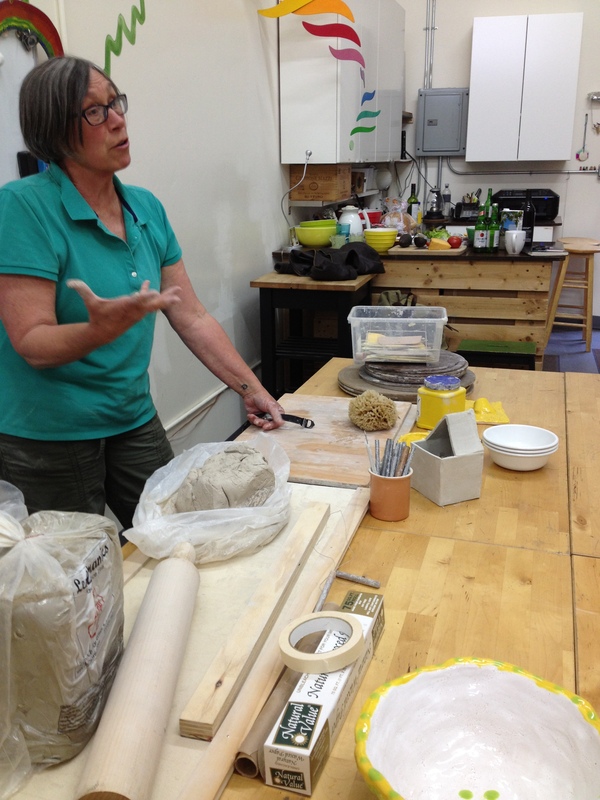 All I knew was that with resident maker Terri teaching, it would be a fun and supportive environment! First off, clay feels amazing. It’s cool to the touch and has soothing properties the moment you place some in your hands. 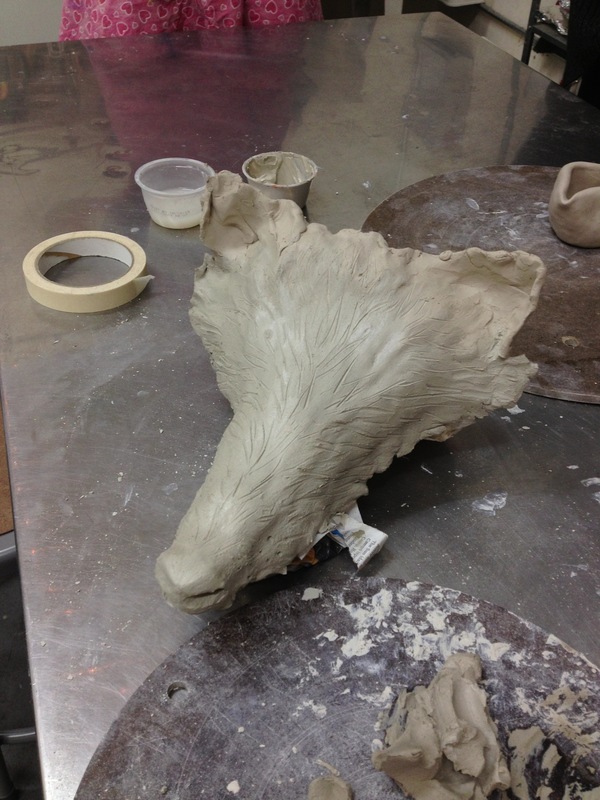 I felt very much at ease as I rolled, molded, and mushed the clay. We first started our lesson by making pinch pots and learning how to feel for the thickness of the clay and how to tell if the clay was being overworked. 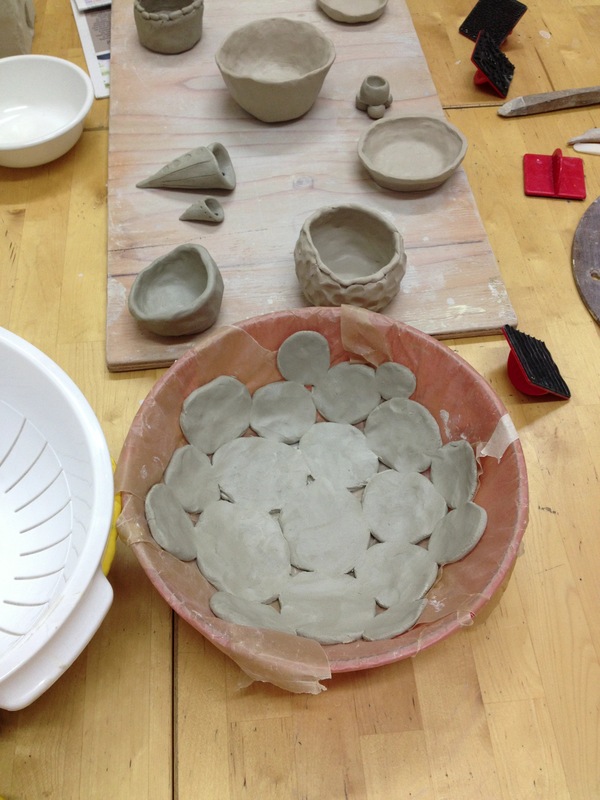 I also ended up making a larger bowl made of circles. Some of us were in the advanced class and made more than just bowls. Check out this mask! 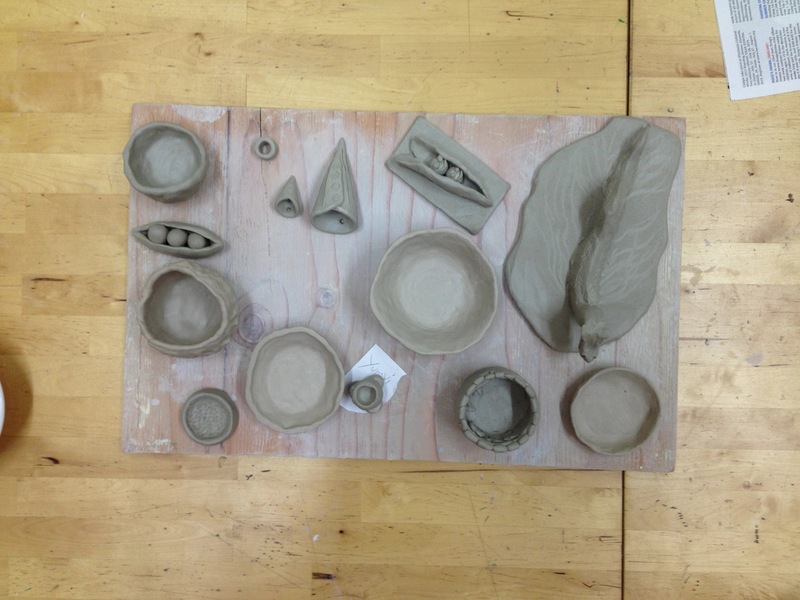 We still need to let these pieces dry before firing and glazing. I’m looking forward to painting my pieces and then using them as functional works of art! Have you played with clay lately? What did you make? Share below! Looks like you had a good time, what got you to take a clay class and where did you take it? 🙂 I’ve been working as an unofficial studio hand in the Laney studios for almost 5 years now, while also making my own work of course, clay is great! Hehe. Previous Posthoop, there it is.